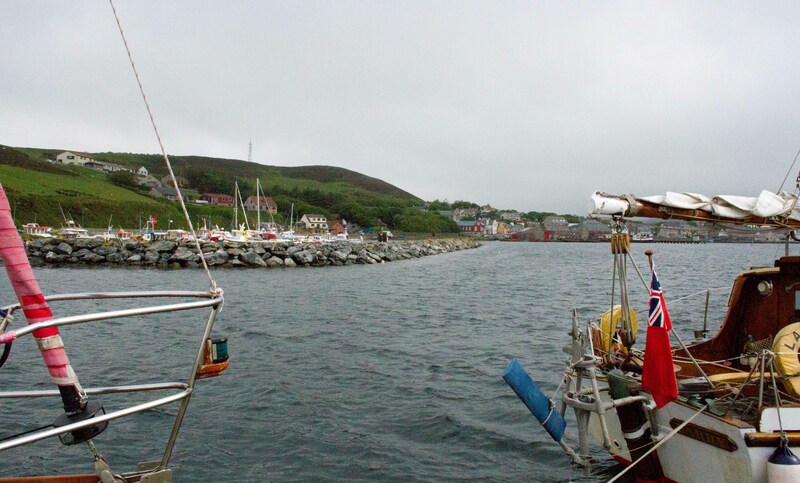 An almost 24-hour journey took us from the Orkneys to the Shetlands. 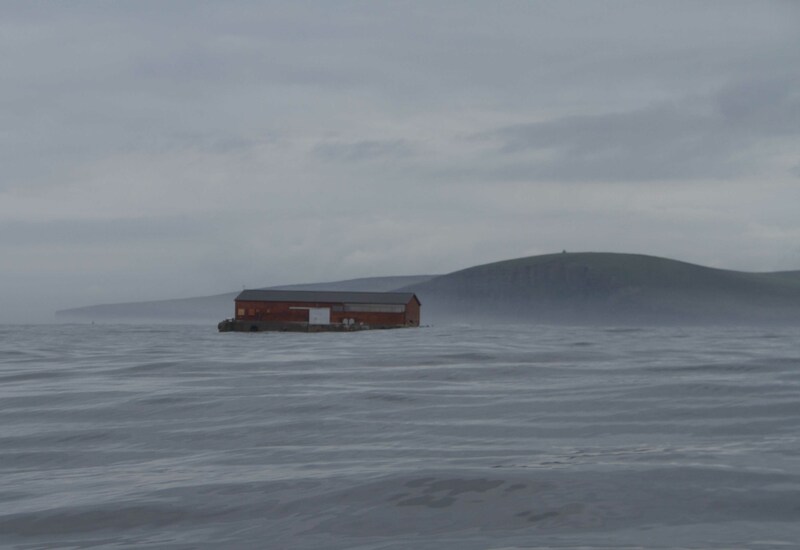 At the beginning the seas were particularly confused and big which made the first couple of hours very uncomfortable. Eventually settling down we encountered northerlies once more, although the forecast said the opposite. 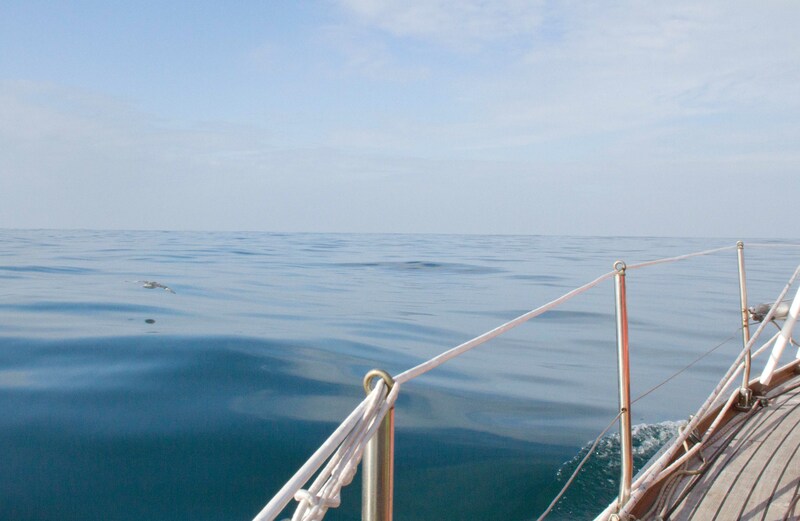 However we did manage to get the head sail up and contemplated a long night. Once we got into the watch system we went through the night, eventually arriving at 4 in the morning. A couple of “drams” were called for before finally settling into our bunks for some sleep. This is not a mirage but “Sea Accommodation” for the more adventurous of us. A very flat calm sea. Difficult to describe!! 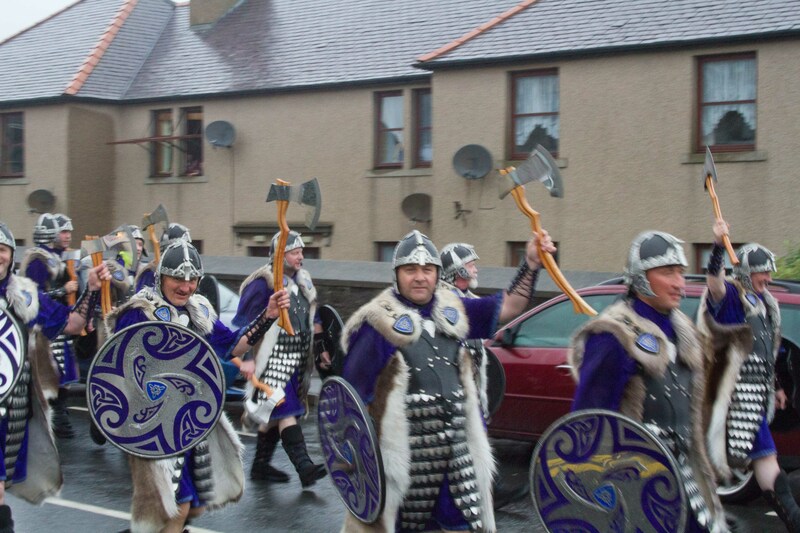 A native welcome at a local festival in Lerwick – friendly enough though. 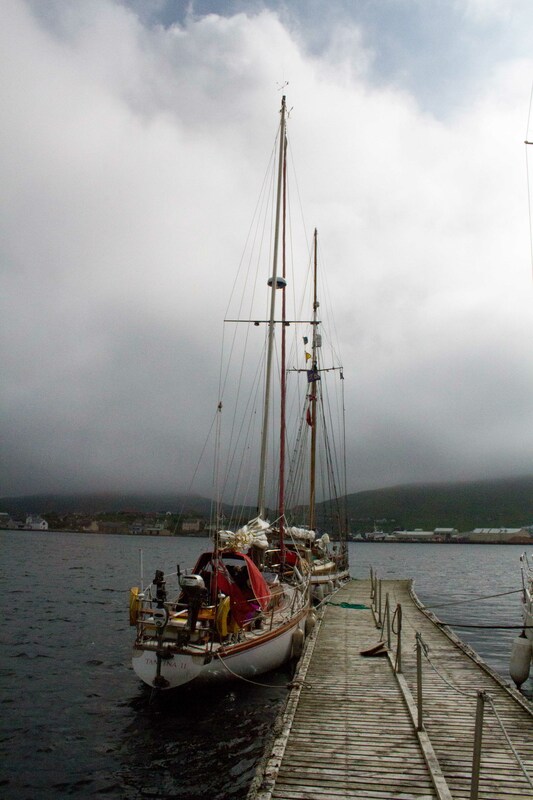 In Scalloway tonight the crews from the other boats (Windbreker, Naiad, Tantina II, Minstrel, and a local boat Larry) will have a meal together in Scalloway. The Admiral of the Fleet and his wife, although being on the Island, unfortunately will not be joining us.